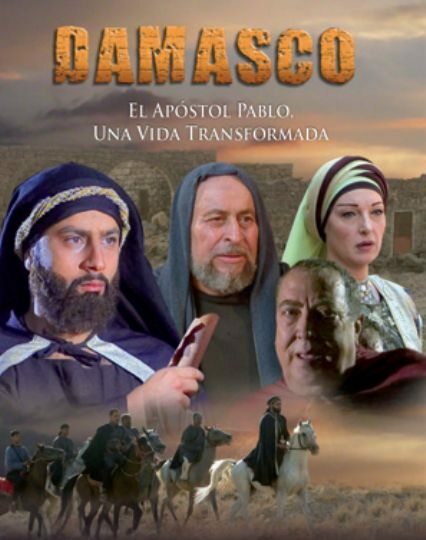 Damasco (Damascus) is a dramatized documentary showing the conversion of Saul of Tarsus, persecutor of the Christians, who later becomes Paul. The film was produced by Agape Media Art and was filmed entirely on site in the historic cities where the events took place. In the film, scores of Syrian actors and actresses participate. In the Middle East, noone has ever made a film on this topic. Damasco was presented for the first time at the Opera Theatre of Damascus on March 2, 2009 with the highest ranking civil and religious authorities in attendance.